Whether inspiration came from an exhibition at an edgy art gallery, a visit to the Natural History Museum, or the sight of your crazy uncle’s jackalope, more and more people are opening up to the fun and wonder of taxidermy. A mix of art, science, and a touch of alchemy, taxidermy lets you engage with the natural world in ways most other people don’t. 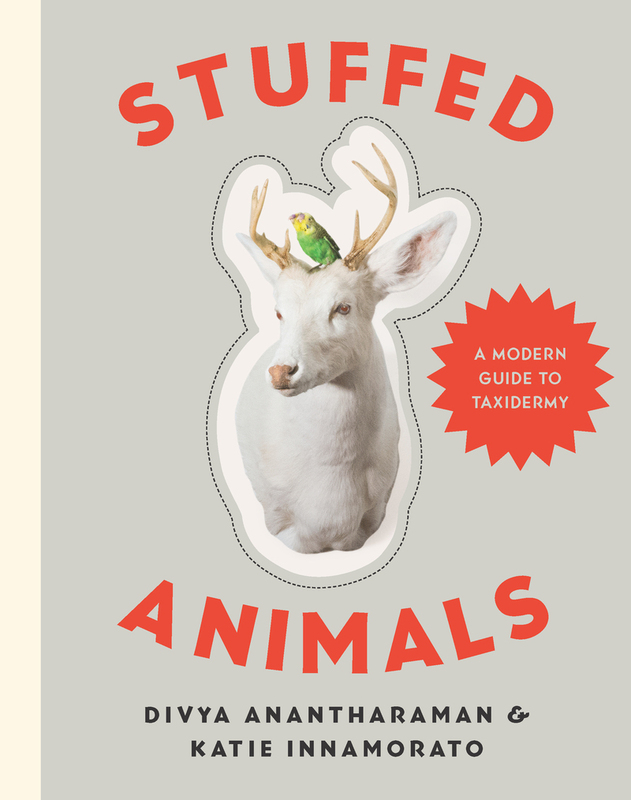 In Stuffed Animals , Divya Anantharaman and Katie Innamorato demystify the practice, shatter the gross stereotypes, and make taxidermy accessible to anyone, anywhere. Committed to ethical and sustainable sourcing, Anantharaman and Innamorato are part of the vanguard of young taxidermists who bring a sense of fun and experimentation to this old-school hobby. In their sold-out classes in Brooklyn, they teach hundreds of taxidermy novices how to create mantle-worthy pieces out of small birds and mammals. Both a helpful how-to manual and a strangely captivating gift book, Stuffed Animals is the definitive guide to a growing movement. Divya Anantharaman is a New York City taxidermist whose practice was sparked by a lifelong fascination with art and science. She's won multiple professional awards for her work, and regularly teaches the art of taxidermy at museums, galleries, universities, and shops across the world. Her work is on display in the Chamber of Wonders at the Walter’s Art Museum, and she's devoted to the preservation of wildlife. Katie Innamorato, is a professionally trained taxidermy artist who teaches all over the United States. She teamed up with The Field Museum for an educational video on Brain Scoop, has been featured on the Discovery Channel TV series Oddities, and is profiled in the book Taxidermy Art. She has won ribbons at state and world level taxidermy competitions at the professional level as well. She lives in the New York City area.